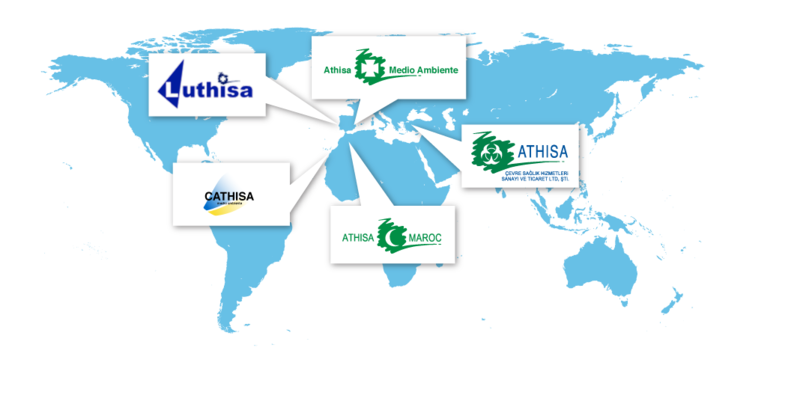 Some ATHISA spin-offs are Athisa Residuos Biosanitarios, Athisa Medio Ambiente, Cathisa, Athisa Ceuta, Athisa Renovables, among others in Spain, and abroad Athisa Maroc, Athisa Turquía, and Luthisa. ATHISA is also part of the group of companies participating in the biggest Logistic, Industrial, Tertiary and Residential Park of Africa, DITEMA. ATHISA also makes pellets by taking advantage of grape vine pruning in Castilla La Mancha.